Before we jump into today’s (a-w-e-s-o-m-e) polish a little heads up: the SAMCRO Collection (part 2) has officially launched at the shop! If you missed out on the pre order, now is the time to grab your fave’s. Alright, on to something super excited! 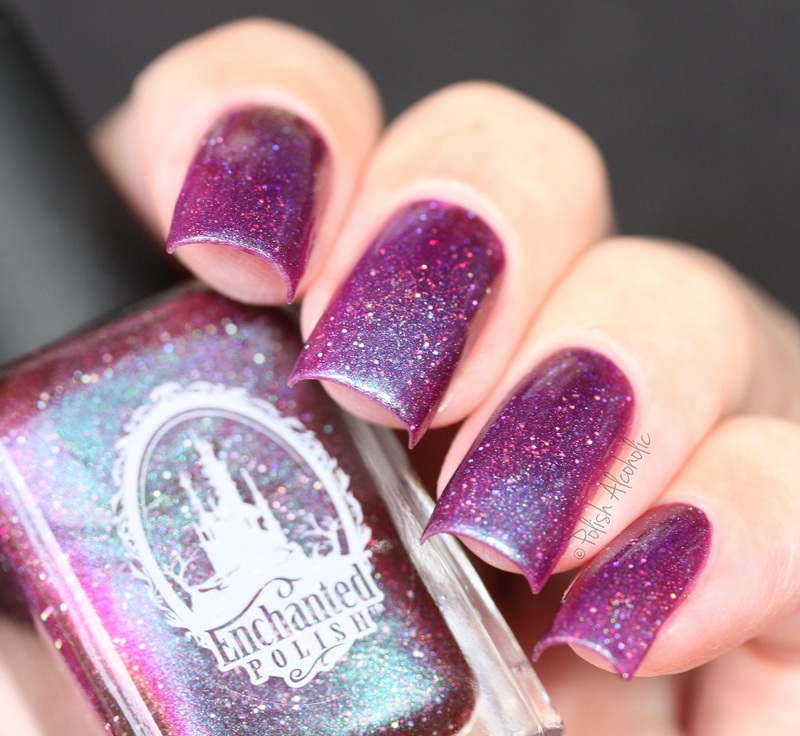 Entwined is a collab shade by Enchanted Polish created together with the talented Dorra a.k.a. Didoline. 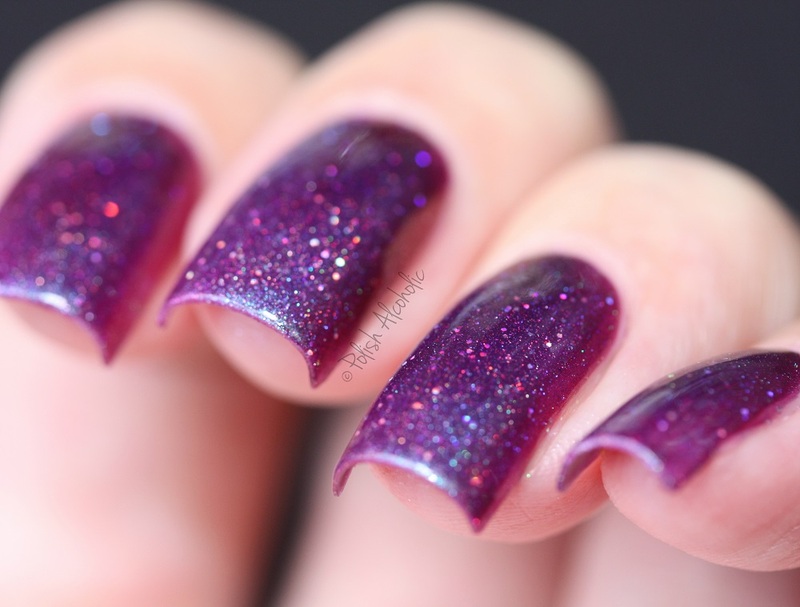 This one is definitely one of my all time favorite polishes ever: Such a stunner! The formula is great. I used two smooth coats plus top coat here. I took a bazillion photo’s f this and every time it looked different. See that blue glow? Absolutely stunning! This entry was posted in Indie and tagged enchanted polish, enchanted polish entwined, ep entwined, review, swatch, swatches by Polish Alcoholic. Bookmark the permalink.